Old-fashioned hospitality is at its best when you combine good food with your friends. And what could be more neighborly than to welcome your guests with a special fresh baked pumpkin bread full of flavors and fall’s vibrant color? In a medium bowl mix together the flower, cinnamon, nutmeg and salt; set aside until needed. In a small bowl dissolve the yeast in the warm water and let stand until foamy, about 5 minutes. 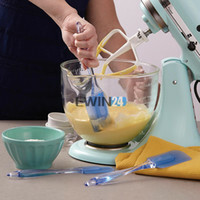 To make the dough with a stand mixer, in the bowl of a mixer with the paddle attachment, beat the butter and sugar at medium speed until creamy. Add the pumpkin and egg and beat until blended. Add the yeast mixture and then flour mixture, about 1/2 cup at a time. After a couple of minutes switch to the dough hook. If your dough does not not come together add a few more tablespoons of flour. Mix and knead the dough on a medium-low speed for about 10-15 minutes. Add raisins, cherries and pumpkin seeds and mix about 1 minute more. Cover the bowl tightly with plastic wrap and let it rise in warm place until nearly doubled in bulk, about 2 hours. When the dough has doubled, deflate it and wrap it in plastic, and refrigerate overnight. Next morning, remove the dough from the refrigerator. Leave it covered in its bowl for about 3-4 hours. Lightly butter your loaf pans. Divide the dough into thirds and place them in prepared pans. Cover lightly with a kitchen towel and leave it for a second rise, for about 2 hours. Preheat the oven to 350F. Bake the loaves for about 30 minutes, or until deeply golden. Allow them to cool on the rack. Enjoy!! You will need three 5 3/4-by 3 1/4-by 2-inch loaf pans. This is such a unique recipe, I am so used to seeing pumpkin quick breads, but this is the real thing! I need to get some smaller loaf tins!! These mini loaves look great! Beautiful and extremely tempting breads! I also like the mini loafs. They look so cute and delicious.